Below is the PSSI-Kemenpora Affairs according kompas.com. May 25, 2015: Vice President appealed Kemenpora revise decree freezing the PSSI. Meanwhile, the Administrative Court gives interim decision to suspend the implementation of the decree. May 23, 2015: Transition Team has sent representatives to meet with FIFA, but was rejected. FIFA would ask the government to repeal the sanctions freezing the PSSI later than the 29th. May 20, 2015: PT Liga Indonesia canceled preseason tournament because without a permit from the Indonesian Professional Sports Agency (BOPI). May 18, 2015: Despite its status suspended, PSSI still announce the composition of the board from 2015 to 2019 period. Name Velix Wanggai participating in the arrangement, having previously resigned from the Transition Team. May 8, 2015: Kemenpora announced the Transition Team which is projected to take over the function of the PSSI. He pinned the tagline "Indonesia Calling". May 6, 2015: President Joko Widodo asked for clarification related Menpora chaos national football. May 5, 2015: Hundreds Jakmania a demonstration to ask the President Joko Widodo intervene to fix the chaos national football. May 4, 2015: Vice President Jusuf Kalla looked furious response to the conflict between PSSI and Kemenpora. May 2, 2015: PSSI decided, all the national football competition terminated by reason of force majeure. 27 April 2015: PSSI undergo a meeting with PT Premier Indonesia and clubs ISL to discuss the continuation of the competition, but there is no common ground. 23 April 2015: Kemenpora instructed the police for not issuing operating licenses ISL match. 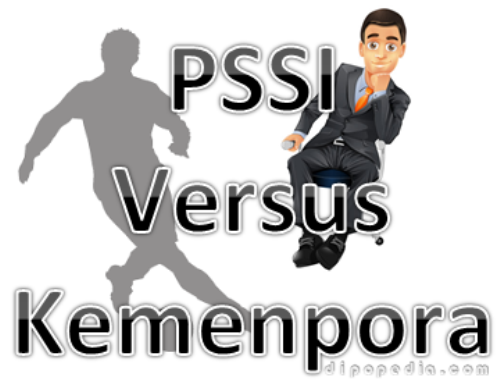 22 April 2015: PSSI form a defense team to sue SK Kemenpora to the Administrative Court. 20 April 2015: Kemenpora sent a letter to FIFA to explain the reasons behind the freezing of PSSI. 19 April 2015: Vice-Chairman of the PSSI Hinca Panjaitan said, competition Indonesia Super League (ISL) resumed on 25 April 2015. 18 April 2015: Extraordinary Congress (KLB) PSSI in Surabaya set La Nyalla Mattalitti as Chairman of the Period 2015-2019. However, the validity La Nyalla doubt because Kemenpora also stated he did not recognize PSSI outbreaks. 17 April 2015: Kemenpora issued a decree that states do not recognize all the sports activities of PSSI.